For those of you who want your Christmas decorations to shine, try our 32cm Gold Reindeer. 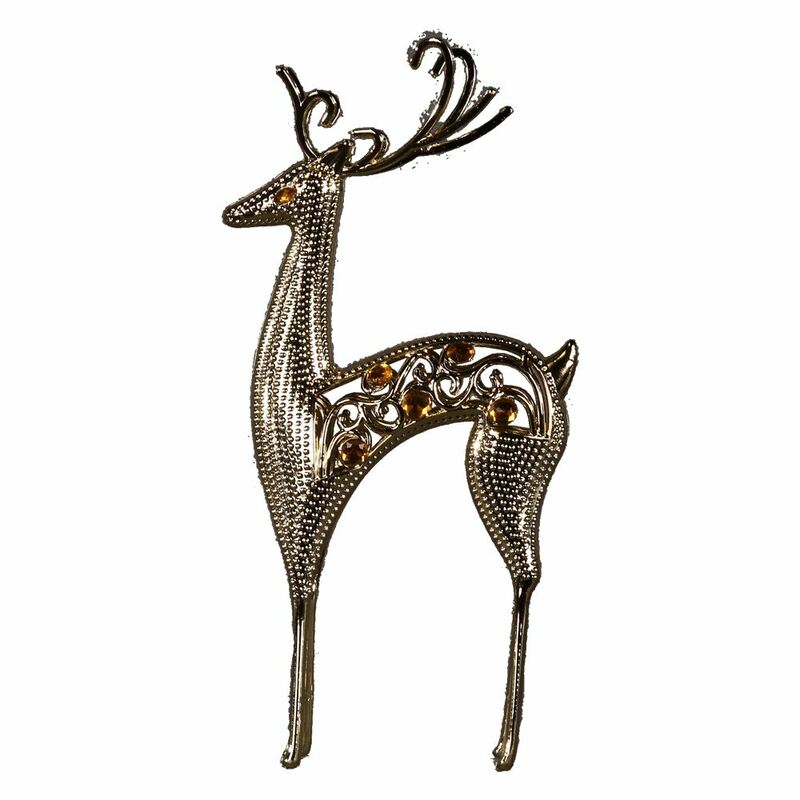 This regal Gold Reindeer has delightful studded silver panels and gold embellishments on his sides. 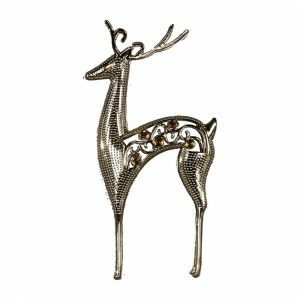 The Gold Reindeer cannot help but make a statement, so why not buy one for your table centrepiece or mantel. The Gold Reindeer is designed to be admired, so it would be a shame to put it away after Christmas. Buy a pair and use all year round on your bookshelf, or gift some to your friends and family to treasure for years to come. Gold Reindeers also make excellent stocking fillers and Secret Santa gifts.